Your core stability or core strength comes from the deeper muscles of the body which are more responsible for inner strength and stability. They enable the body to dynamically control movements by affording stability. Without core strength and stability you are not going to be able to perform some movements effectively. Some of these specific muscles have a major effect on the spine. A dysfunction in these muscles can lead to lower back problems as well as numerous other conditions including shoulder pain. 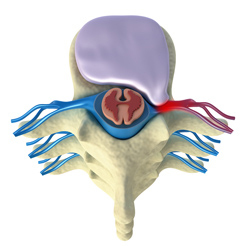 Your deep core muscles instrumental in controlling and supporting your lower back. After a lower back injury these muscles can literally stop working, leaving your spine and pelvis vulnerable to more injury which could then lead to longer lasting pain. If your assessment reveals you have a core strength problem then the muscles will need reactivating through core strength exercises. Sometimes it is difficult to know which of your muscles are weak, we can tell you and provide the correct training in order to strengthen them. An onsite Strength and fitness centre with coaching [provided by KT Fitness] is available. One to one sessions provide motivation to over acheive during the sessions, goal led exercises, encouragement to keep going between sessions and feedback so you know how well you are doing. The exercises are physiotherapy led with both the fitness trainer and physiotherapist working together to ensure you receive the best possible outcome.